MAARSSEN, the Netherlands – 322,878 bicycles were exported from the Czech Republic in 2005 to 26 countries. Total export value was about € 40 million. Compared with 2004 the value increased with 25%; the number of units with 16.4%. The average price per unit increased from € 115.20 to € 124.00. Germany took 64.3% of the Czech export, the Netherlands 12.1% and Slovakia 7%. Compared with 2004 there are no major changes in the pattern of the purchasers. The Czech Rep. imported bicycles from 15 different countries with a total value of € 35.429 million, and 196,716 units. Compared with 2004 there is a decrease in value of 24.3%, and a decrease in the number of bicycles of 62.5%. 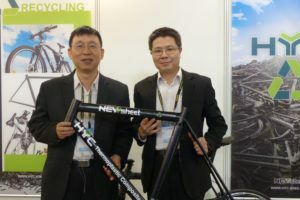 This clearly indicates the effect of the new anti-dumping duties of 48.5% for bikes imported from China and 34.8% for bicycles imported from Vietnam that came into effect in July 2005. Not only in the number of bicycles the anti-dumping effects are clearly shown, but also in the value of an average imported bicycle. That increased from € 89 in 2004 to € 180 in 2005. The decrease in imports is mainly caused by emptying the huge stocks that had been stacked in the pre-EU period to avoid dumping duty and other taxes. Another factor may be the better quality, and range of models of the home production. The nr.1 import country was Taiwan, from which came 87% of the imported value, followed by China with 6.6% and Slovakia with 1.96%. Other importing countries were Italy, Vietnam, the Netherlands and Germany. Starting in 2004, electric bikes were coming in from China, with a total value of € 1.178 million. The Czech Association of Bicycle Retailers is in the process of foundation. 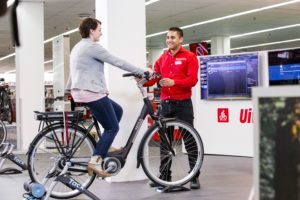 One of their aims is to collect reliable trade statistics, which means that we can expect refined bicycle sales figures, units, price categories, also for parts and equipment. 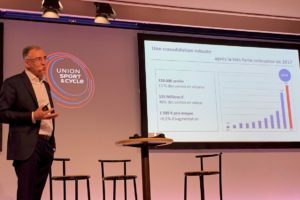 The association is inviting internet shops to join their organization in the hope of getting some view on the sale of bicycles through the internet. The Association intends to advise their members to work for a retailer margin of at least 20%. 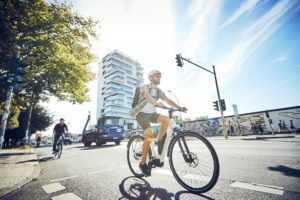 However, the founding of the Association is planned for 2006; about the 2005 sale of bicycles in the Czech Republic there’s no more than a qualified estimate to rely on. It comes to 320,000 – 350,000 units for a total value of approximately € 100 million, including the sale of Parts and Accessories. By the end of 2005 more than 60 Internet bicycle shops were active on the Czech market. There were what the Czechs call ‘stone shops’, basically wholesalers who exclude the retailers who purchase from them, by trading directly with the customer too. The other type of internet store is the virtual shop with minimum stock of their own, who are heavily dependent on others when the order comes in. Retailers of foreign brands, who have contractual obligations to refrain from internet trade, are obviously at a disadvantage. cykloshop.cz is an umbrella website under which bona fide retail shops, fitness equipment dealers and other related specialists may offer their products via a linked network. They have a joint and mutual delivery system that also brings out the ordered goods to the customer. 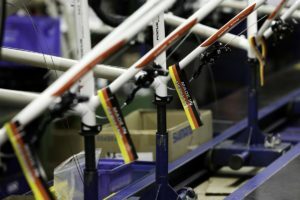 On medium term, the bicycle industry and wholesale in Czech republic expects to sell up to 30% of its total turnover through the Internet, another one-third-plus via specialist dealers and the remainder one-third through specialized sports supermarkets and classic hypermarkets. The evaluation method for the Czech motorcycle market has changed in 2006, so the results are not 100% comparable with the figures presented over 2005. Until now, the statistics were a consolidation of the figures provided by the Czech motorcycle producers and importers. From now on, the Central Vehicle Registry of the Czech Rep. tallies the first registrations of new and imported second hand motorcycles. This new system is supposed to be more precise and complete. Obviously, the new system does not give an insight in imported, but yet unsold motorcycles. The total number of registered powered two-wheelers in the Czech rep. is 794,000 with a really stunning average age of 33 years, which means that the motorcycle park still contains a majority of pre-1989 old Jawas, Cz’s, Orions, etcetera. The motorcycle density is one per 15.39 Czech citizens (Pop. 10.211 million). The car density today is one car per is 2.59 citizens. The average car age in Cz is 13.53 years. These data represent the end of 2005 situation. Last year 15,625 new motorcycles were registered, which is 62% of all the new registries. Among these were 122 motorcycles made by Czech manufacturers. 9,583 second-hand imported motorcycles were newly registered. A staggering 112 brands from all over the world were registered in 2005 in the Czech Rep. Honda was the top seller with 1,505 units, Kentoya second with 1407 units, Chinese TMEC third with 1401 units (coming from nowhere: their first 15 units were registered in 2004). The Betka 50 Q (imported by Motoscoot. Inc.) is a Honda Monkey license with a 2.4 Kw fourstroke 50 c with a practical cruise speed of 70 km/h. With a three-year guarantee on the engine and a premium price of € 700, Motoscoot sold out their complete 500 unit stock in one day.